– koshi-an (漉し餡, こしあん, strained bean paste) – a smooth paste made only from the inside parts of the bean. – tsubu-an (粒餡, つぶあん, whole bean paste) – a hearty paste where the beans are left whole. 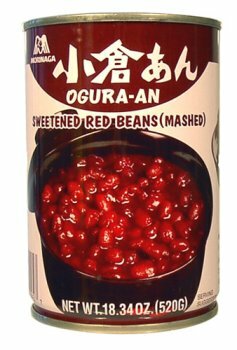 – tsubushi-an (潰し餡, つぶしあん, crushed bean paste) – a hearty paste where the beans are partially mashed.